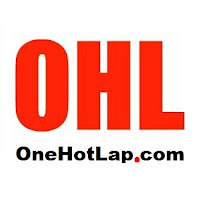 One Hot Lap is an online magazine devoted to performance driving: Track, Autocross, Karting, Rally, Racing, Tech Advice, Product Reviews, and Track Reviews. All of us here at One Hot Lap are performance driving enthusiasts hooked on track driving, autocrossing, and karting. If you see us at a driving event, please stop by and say Hi. Help us make this site a great place for car enthusiasts who share a passion for driving and the camaraderie that goes with it.